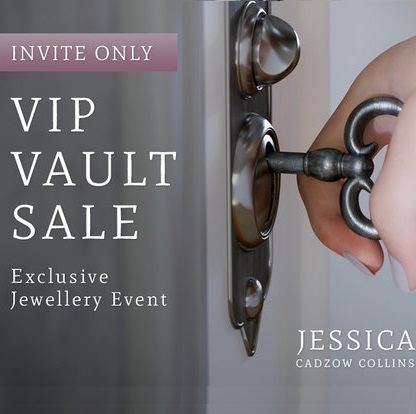 You are invited to the VIP Vault Sale, an exclusive fine jewellery sales event. Jessica Cadzow-Collins presents a selection of brand new, fine jewellery created by the world's leading jewellery houses, all at incredible savings of up to £00,000's off retail prices. Every precious piece of beautifully made, exquisite quality designer jewellery has been discounted substantially to clear, and represents incredible value. The jewellery is available to view and buy at our one day invitation-only sales event in the stylish Goldsmiths' Centre, London, in time for Christmas gifting. 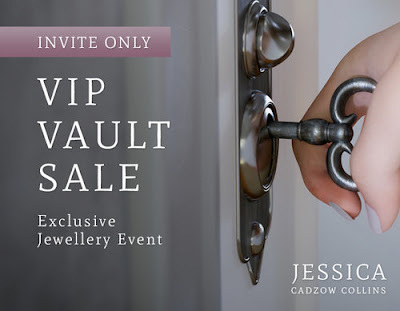 If you wish to take advantage of this Sale but are unable to attend, please contact [email protected] or call +44 (0) 7948 907223 for service and information.